Domestic animals rarely enjoy being bathed or washed, and they often attempt to flee their owner's attempts to clean them. 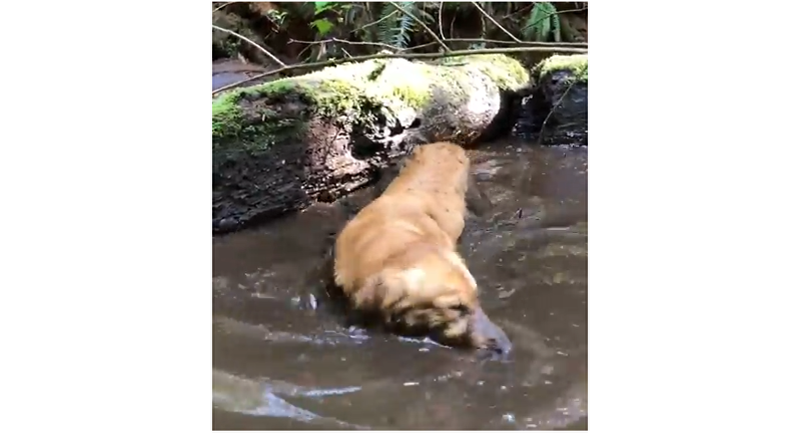 But what some doggos adore is plunging into mud or muddy waters so they become dirty, to the annoyance of their owners. While some animals prefer cleanliness and tidiness, others seem to be pigs at heart — and this particular golden retriever is the exact embodiment of this. However, for some, the pup resembles a fluffy croc swimming in dirty water. Maybe, at times, there is nothing wrong with allowing your pet to get wild and become dirty. However, if that becomes a habit, then it would be close to impossible to maintain cleanliness in a house which a human and dog are sharing.